ITV have recruited Michael McIntyre from Global Media and Entertainment to the newly-created role of Deputy Business Development Director. Manchester-based McIntyre was Group Business Director at Global. 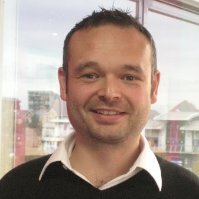 He will report into Business Development Director Jason Spencer at ITV and help to deliver revenue growth and “reputation for powerful partnerships”. “I am really thrilled to have Michael joining the team as my Deputy,” Spencer said. “He is going to make a massive impact to help us work better together with agencies and advertisers across all our regional offices. McIntyre added: " I have loved my time at Global. It’s a great place to work with fantastic people, but the opportunity at ITV was simply too good to turn down and I’m looking forward to starting."